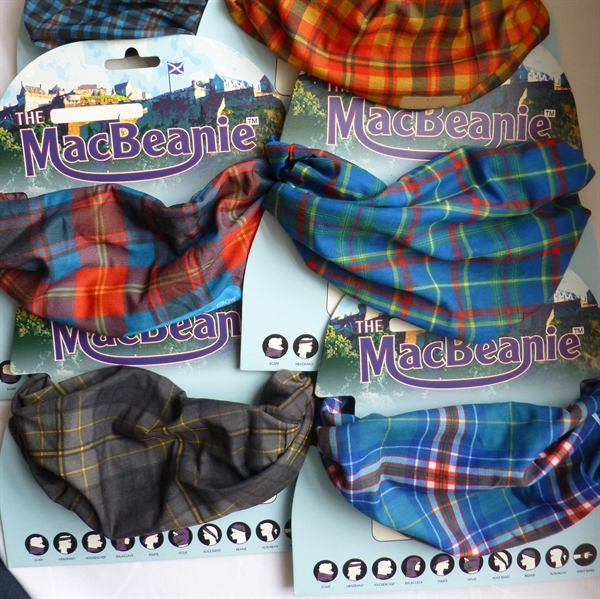 MacBeanie, custom made in your tartan, corporate, club or clan. Useful and inexpensive corporate tartan gift. 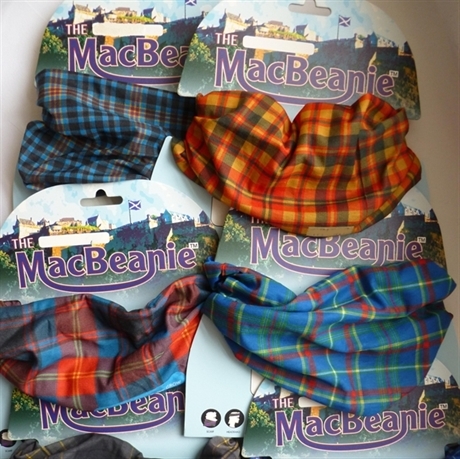 MacBeanie TM, custom-made in your tartan or any tartan with any variation of logos, colours and labelling. This is a truly unique piece of outdoor, active sportswear. Multi-functional headwear, neckwear or scarfwear. Can be worn in at least 11 different ways e.g. 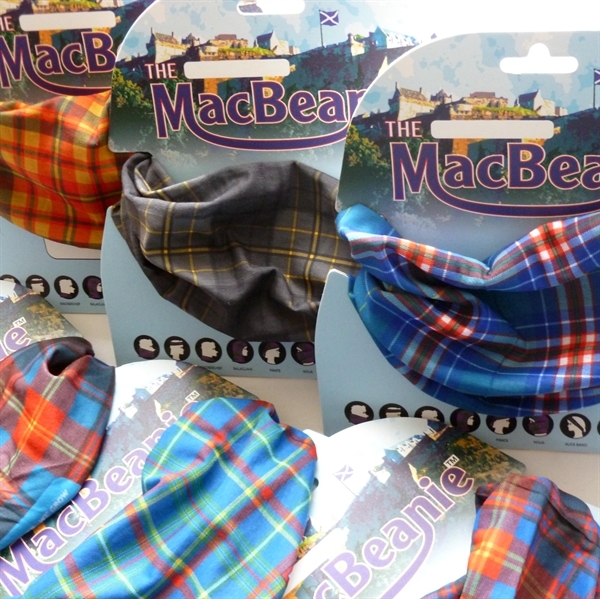 as tartan scarf, Neck-warmer, balaclava, beanie, bandana, wristband, scrunchy, mask, dust-shield and more. Presentation: Supplied on standard MacBeanie TM display cards or custom Corporate version. Printing & die -cutting minimums apply to boards. MacBeanies also available in solid colours and winter version on request.